The problems are numerous — just getting in the door to gain needed experience can be difficult. 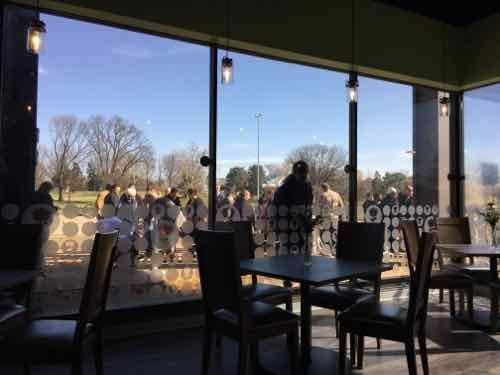 To address this need Paraquad, through a Missouri Foundation for Health grant, has opened a new cafe. Training Program: Students complete a 12-week, skills-based curriculum where they study topics, such as food handling and preparation, and learn soft skills, such as .customer service and workplace etiquette. Paid Internship: Students progress to a short-term paid internship in the Bloom Café and other restaurants to build skills and experience. Job Placement: When interns are job-ready, Paraquad assists them in finding and maintaining jobs in the community. 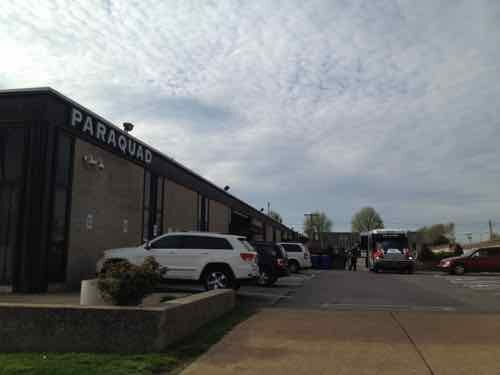 Paraquad held the ribbon cutting on the first day of Spring — very appropriate. The building that houses The Bloom Café and Paraquad was built in 1972. Paraquad has occupied the West end of the building for years, but Horner & Shifrin’s main office was on the East end until they moved near Union Station. 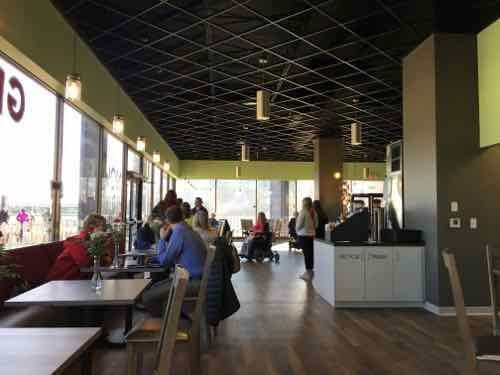 Inside Bloom Café has a contemporary feel, the space is flooded with natural light. The primary facade faces North toward I-64 and Forest Park. Like many places, you order at the front counter. I got a selfie with Paraquad board chair, Paralympian, and former neighbor Kerri Morgan. 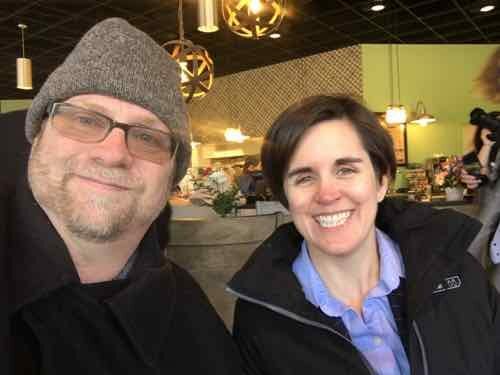 I first met Kerri at Paraquad in early 2007 — before I became disabled from my stroke. Click photo to view the Wikipedia entry on her. I wasn’t able to stay to try out any of the food the morning of the opening, but I will return soon to try it. 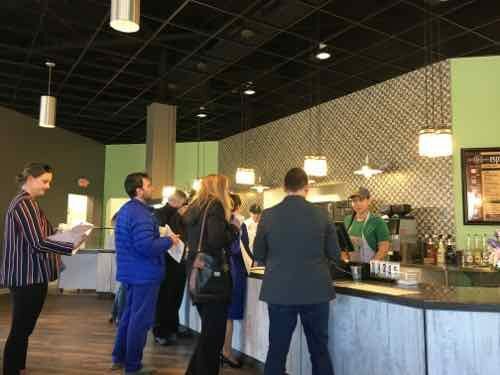 Bloom Café is open for breakfast & lunch Monday-Saturday. 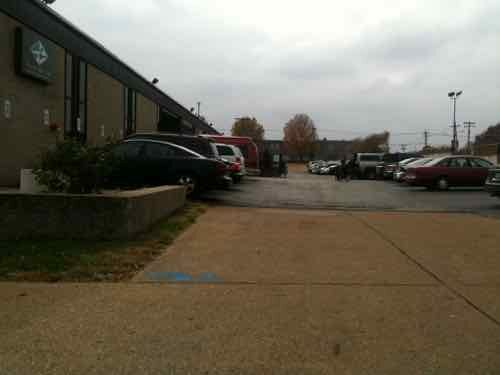 It is conveniently located at 5200 Oakland Ave — between the Science Center and Forest Park Community College. 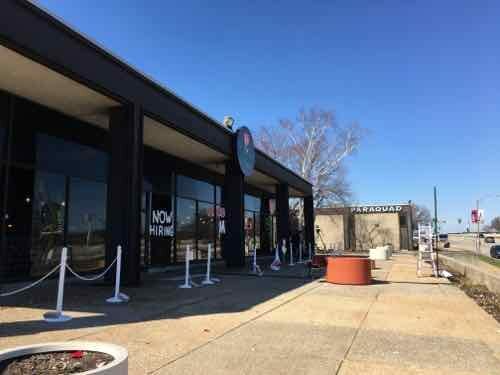 As mentioned above, the building was built in 1972 — nearly 2 decades before the American’s with Disabilities Act of 1990. 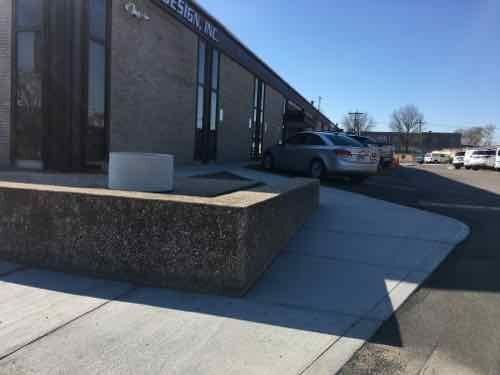 Because we tend to design only for automobiles — unless forced to consider pedestrians — there was no pedestrian route from the public sidewalk into any building entrance. The only option for pedestrians. like me, who arrived via public transit was to risk getting hit in the auto driveway. I’ve given Paraquad trouble about them not having corrected this. So I was very happy to see they finally corrected the 1972 design. A new walk now leads you from the public sidewalk/bus stop to Paraquad’s entry on the West side of the building. 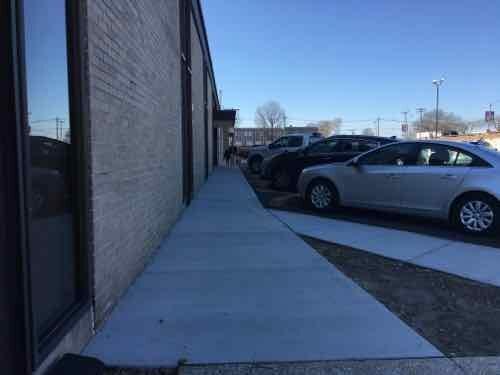 The old straight-in parking has changed to angled parking to give room for a walkway between the building and parked cars. 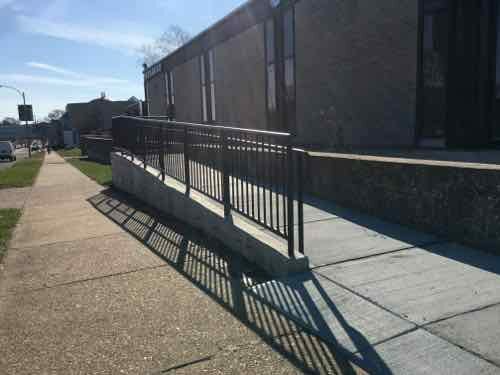 To reach a ramp was added along Oakland Ave at the bus stop. I’m very glad to see this change — still thousands of other properties that also need to be updated. We also need to stop building like this — an example is the Starbucks on Chippewa.